Who is the cutest Disney animal sidekick? Zazu, the rule following hornbill bird from the Lion King? Meeko, the silly raccoon from Pocahontas? Pascal, the wise chameleon from Tangled? Baloo, the Bare Necessities singing bear from The Jungle Book? Sebastian, who was always a little angry that Ariel wouldn’t listen to his advice? 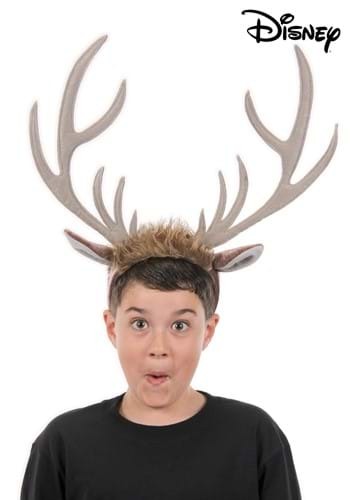 Or, do your kids think that Sven is the absolute best? Well, he is a reindeer that acts like a dog, so we can see the appeal. So, instead of having them wear a Santa hat this Christmas, let them be the coolest reindeer with these Frozen Sven Antlers Headband. They will want to wear them to school, for the talent show, and all day at home. Hopefully, they don’t star trying to act like Sven as well. You don't need a kid who acts like a puppy in the house.